If you love the sun and want to take care of your skin, our PIZ BUIN® MOISTURISING range is just what you need. Advanced UVA/UVB sun protection filters help protect the skin from the sun and, combined with effective anti-oxidants, help prevent sun induced premature skin ageing. A unique hydrating complex provides intense moisturisation to help maintain the skin’s natural hydration level while tanning. The non-greasy, non-sticky formula of the PIZ BUIN® MOISTURISING Sun Lotion intensively moisturises your skin while tanning under the sun, leaving it smooth and silky soft all day. PIZ BUIN® MOISTURISING Sun Lotion is sweat and water resistant. Apply generously and evenly before sun exposure. A reduced quantity lowers the protection level significantly. Reapply frequently, especially after sweating, swimming or towelling. Avoid midday sun and staying too long in the sun even while using sunscreen. Keep babies and children out of direct sunlight. As suncare specialists, we use innovative technologies to make sure you achieve the right balance of colour and protection whenever you enjoy the sun. 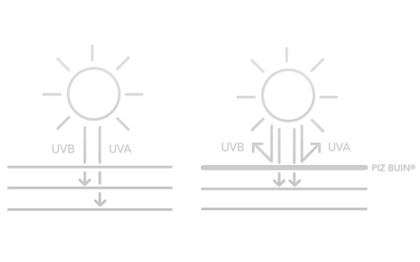 Each of the advanced UVA/UVB sun filter systems is a powerful sun protection technology developed by PIZ BUIN®. They offer effective photostable, broad-spectrum UVA and UVB protection, and help achieve that PIZ BUIN® sunscreens comply with the latest European Commission recommendation on sunscreen products. All of the advanced UVA/UVB sun filter systems help to protect from UVA and UVB radiation. UVB rays - "burning rays" - harm the skin’s surface and are the main cause of sunburn. UVA rays – "aeging rays" - penetrate deeper and damage collagen and elastin, which can result in premature skin ageing and cancer. The advanced UVA/UVB sun filter systems contain both UVA and UVB filters to help protect against the sun and long term skin damage while also protecting against the more serious effects of UVA radiation. They cover most of the UVA / UVB spectrum, offering broadband protection for your skin. The Feverfew plants origin is in the mountain scrub and rocky soil of the Balkan Peninsula but now it can be found in several areas of the world. The PIZ BUIN® parent company, Johnson & Johnson, has patented this innovative extract for use in skincare, applying a new extraction process that keeps the active ingredients and eliminates unwanted components that could cause allergies. 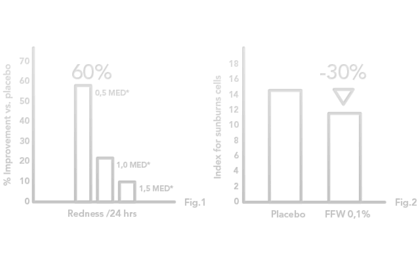 How does FEVERFEW PFE™ help your skin? FEVERFEW PFE™ plant extract is a highly effective soothing and antioxidant ingredient. In vitro studies prove that it has greater antioxidant boosting activity than other leading extracts including sage, green tea, black tea, Vitamin C and Vitamin E. It helps relieve redness of skin, repairs skin cell damaged by UV rays, and strengthens skin cell resilience to the sun*. Its efficacy has been proven by several years of extensive research, performed by the PIZ BUIN® brand’s parent company, Johnson & Johnson, with several patents covering its application in the skin care and cosmetic fields. FEVERFEW PFE™ helps protect against cell alterations, decreases UVB-induced erythema and helps repair UV-damaged cells. Up to 60% improvement on UVB induced erythema and redness. 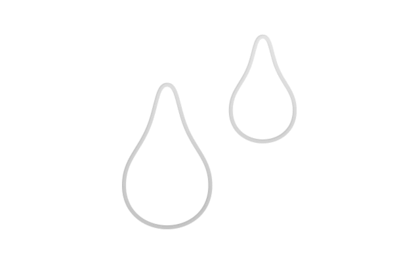 Source: Johnson & Johnson publication in Arch Dermatol Res Feb 2008; 300 (2) 69-80, Randomised, placebo-controlled, double blind study on 12 volunteers. FEVERFEW PFE™ helps protect against sunburn by stimulating natural processes that help maintain skin cell integrity* and strengthen their resilience to the sun. Source: Johnson & Johnson R&D, Method: application of UV radiations on human skin ex plant and assessing the sunburn cells induced. Glycerine attracts water and holds it in the skin to help maintain a good hydration level. Your face is the part of your body that gets the most sun exposure during the day and therefore needs special protection. PIZ BUIN® MOISTURISING Radiant Face Cream has been tested under dermatological control to protect the delicate skin on the face and neck. Subtle light reflecting particles give your skin an instant radiant glow while active hydrators intensely moisture your skin preventing it from drying out. PIZ BUIN® MOISTURISING Radiant Face Cream is non-comedogenic and sweat and water resistant. PIZ BUIN® MOISTURISING Sun Lipstick helps to protect your lips from the harmful effects of UVA/ UVB exposure while providing them with intense moisturisation. PIZ BUIN® MOISTURISING Sun Lipstick is water resistant. 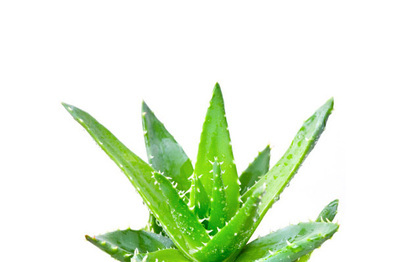 Why is Aloe Vera so good? Aloe Vera is a rich natural moisturiser with powerful soothing properties. 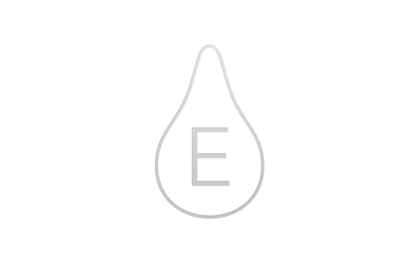 Vitamin E is a powerful natural antioxidant that helps to protect from free radicals, which damage skin cells* and cause premature skin ageing. This page is published by Cilag GmbH International, which is solely responsible for the content. It is intended for a European audience. To view cookies served on this website, please review our Cookie Annex.